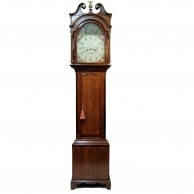 Walnut longcase clock for sale by James Bentley of London. Circa 1745. 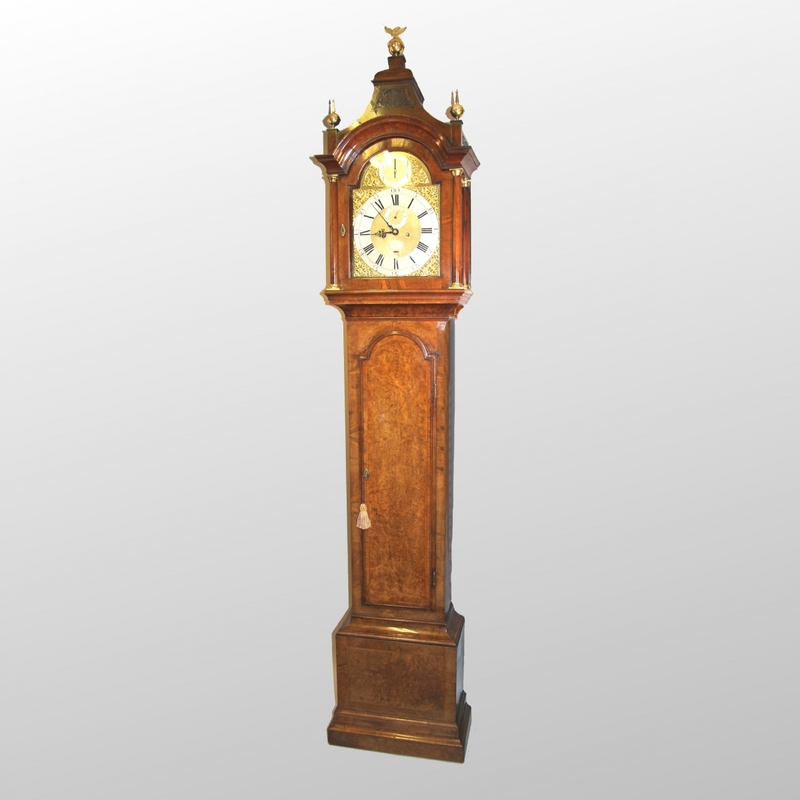 A good, original and imposing King George II clock in fine condition. 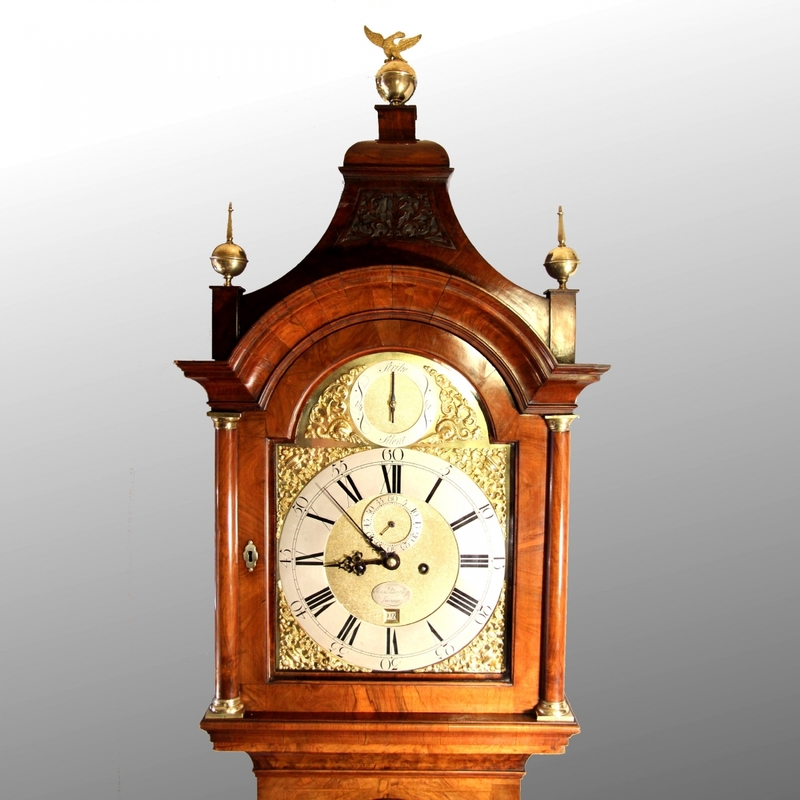 The eight day duration, five pillar movement with Anchor Recoil escapement and rack striking the hours on a bell. Also having a strike/silent facility and good brass cased weights. 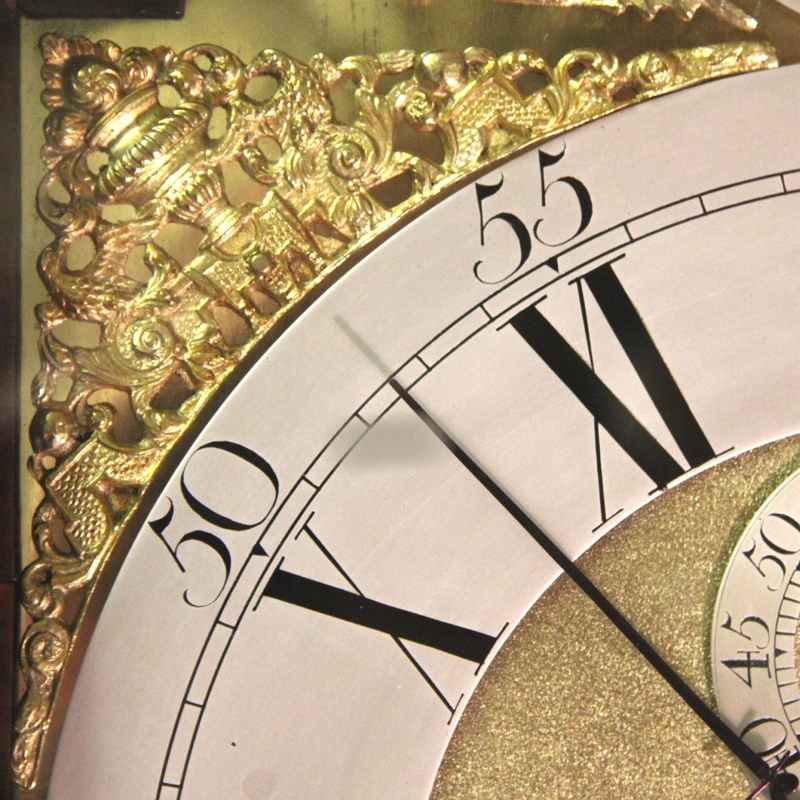 Behind a 11 3/4" wide, brass break-arch dial with 'Bird-and-urn' corner spandrels and Dolphin spandrels to the arch. The arch centre being finely matted and having a 'Strike/Silent' silvered chapter ring with ornate engraving and a plain blued steel selector hand. 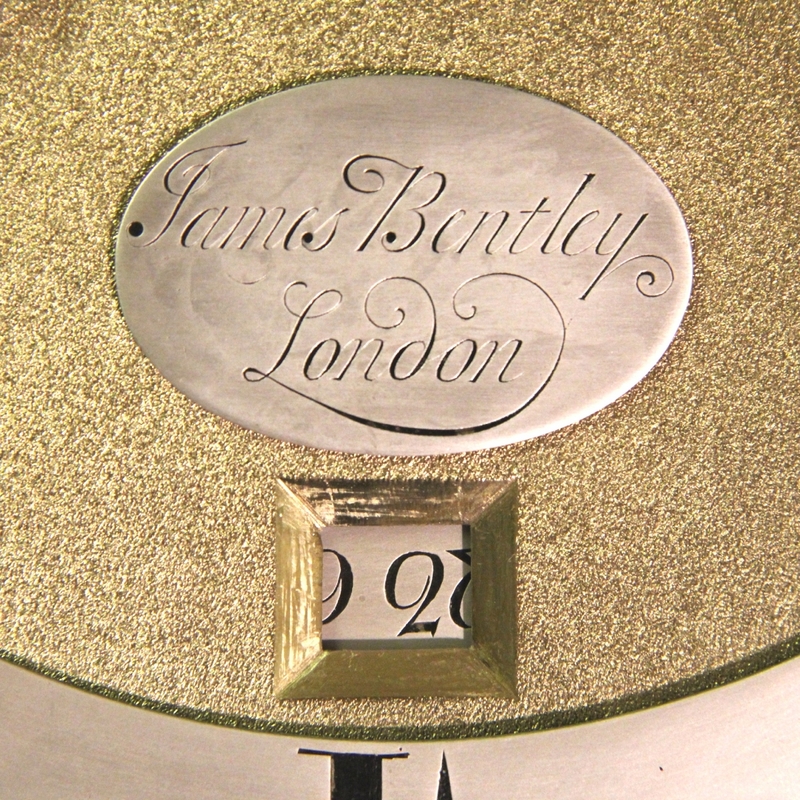 The dial centre also being finely matted and having a silvered subsidiary seconds chapter with outer Arabic fives and a blued steel spear head hand below the XII, a chamfered square calendar date aperture above the VI and having a silvered oval maker's cartouche bearing "James Bentley (of) London" above the calendar. The silvered main chapter ring having Roman numerals, minute ring and large outer, Arabic fives. Also having well executed blued steel hands. 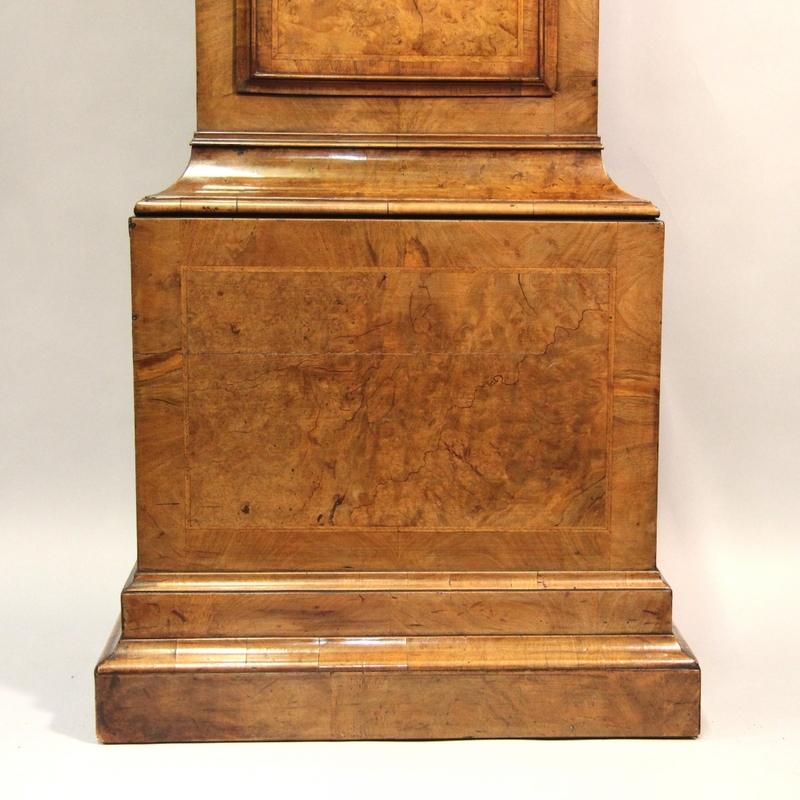 Contained in a slim, well proportioned and imposing 'blonde' walnut case with blocked and elaborated pagoda top surmounted by three brass finials and the front having a blind fret. Sat upon a good and well cut, break-arch cavetto moulding and the cross-grained locking hood door having integral pillars with brass capitals. The sides having large inspection glasses, blind fretwork to the pagoda and a further two quarter pillars also with capitals. 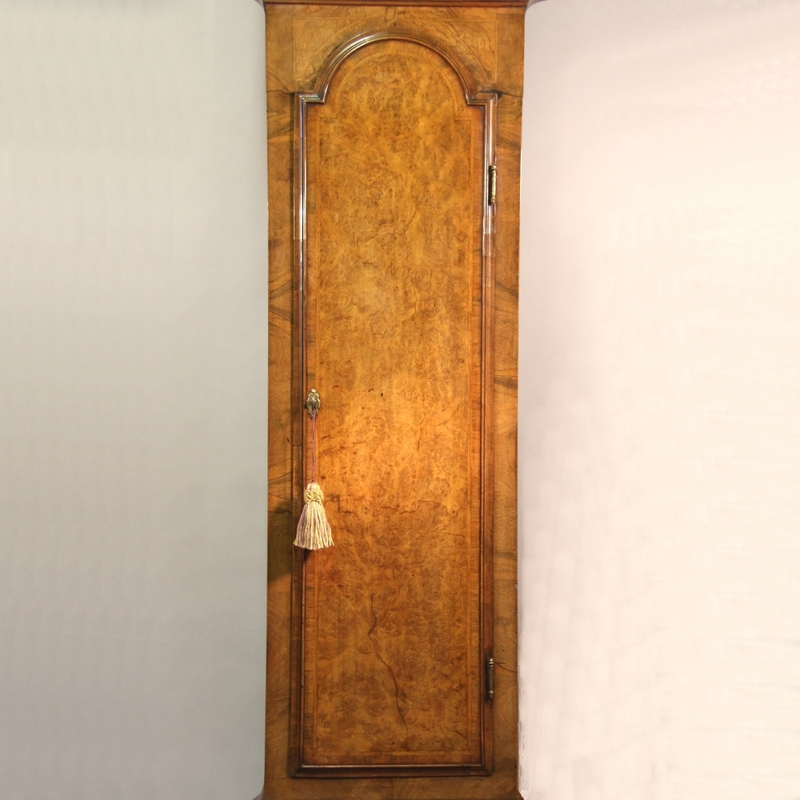 The throat to the trunk having a large cavetto moulding and the well-figured front having a full length raised break-arch door with cross-grain edge moulding and fine herringbone stringing with crossbanded edges. The top trunk quarters also having triangular stringing and the base having a figured panel also with crossbanding and stringing and a double, moulded plinth. The trunk sides similarly having front to rear grained panels with crossbanded edges. 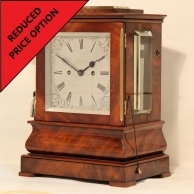 * This is a good and authentic clock, the veneers have bleached with age to a 'blonde' colour. 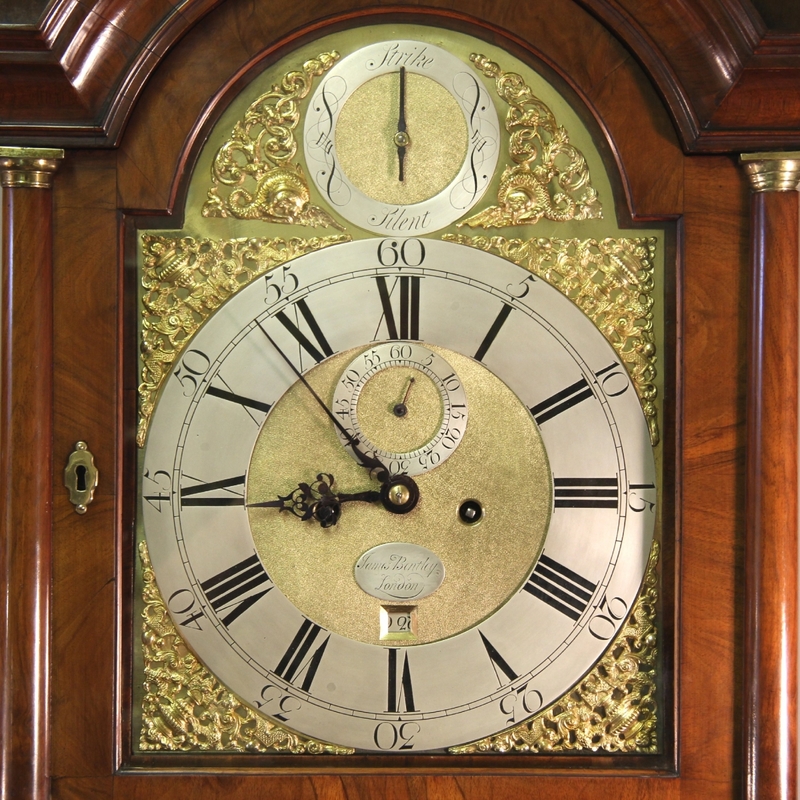 The quality is high, it is in excellent condition and has never been altered in fact, this is one of the rare occasions whereas it can be stated with great confidence that the case and dial are original to each other insomuch as it's twin has been located by the same maker and upon examination it can be seen that the dial and cut of veneers are practically identical. The other example is the property of the National Trust and can been seen by clicking on the following link: Nat. 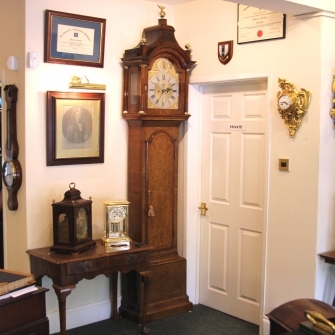 Trust Bentley Longcase Clock. 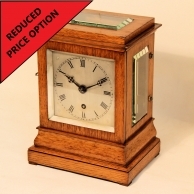 It appears that the Trust's example has had the pagoda top cut off probably because of height restrictions at some time and it is in poorer condition but it clearly shows that both clocks are as they started out. 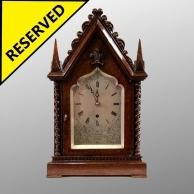 ** Nothing seems to be known about the maker of these clocks, there is a James Bentley of London listed but he did not begin his apprenticeship until 1765 making it impossible for him to be supplying clocks in London for at least 8 to 10 years after this date. Because of style, this would be far too late for these examples. 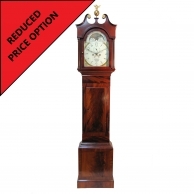 Dimensions: 97 1/2" high plus the central finial x 20 1/2" wide x 9 3/4" deep. Investment forcast: 7 (please refer to our 'Buying for Investment' page for explanation).